If you've are an addict of Flight Control, here are some other top notch Android games I've tested out that you will enjoy. Not all these games are identical to Flight Control, but they all have some aspect of controlling where and plane goes and ensuring they don't crash. These Android simulation games are often times short enough to prevent me from spending spend hours on end. At the same time, these don't require me to check-in at certain times to progress (similar to Clash of Clans). What I enjoy most about simulation airplane games is that they require some basic problem solving to achieve the most optimal route. Most of the time, these games have a mild learning curve, as they focus on different aspects of flying. And because planes are in the air, it adds a sense of rush to the game as there is a undefined timeline to get your airspace/airport running in the most efficient manner possible. 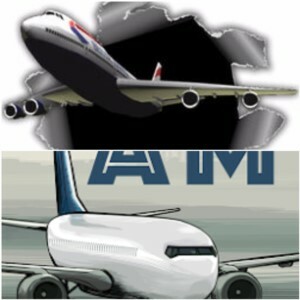 This Android game called Airport Madness for awhile was one of my favorites in this space. Your goal is to control landing and takeoff from your airport. Planes travel at their set speeds, though you have the option to slow it down. The goal is to make sure planes don't crash on the runway or in the air until they've left your airspace. If you don't land planes fast enough, there's more traffic to manage in the air. On the flip side, if you don't take off fast enough, the planes either end up taking valuable airplane gate space or congested taxi line for takeoff. Fairly granular control the every step. The first level comes free, but other levels require purchase. This is my favorite type of freemium model because it gives me a full featured game with the option to pay for additional levels. Airspace Control is fairly face paced, but doesn't give you as much flexibility on route, but may be more real world. Your planes must follow a certain flight-path to the landing zone. From there, you control speed and elevation to prevent air collisions. Because it's more complicate than drawing a line, there is a higher learning curve involved. You are also given the option to "upgrade" your airport to build new runways that will attract more inbound flights. This game is COMPLICATED. Not to say it isn't fun, but prepare to invest a lot of your time into the game. The one is fully integrated with the internet, as your airport in AT Online 2 competes with other people. The game had stellar reviews, which is why I gave it a shot, but at the end of the day was too time consuming for my lifestyle. But, if you're interested in building runways, building terminals, and seeing the simulated numbers, this game is for you! This game doesn't have to deal with landing or taking off. Instead, it deals with putting out fires with planes. Scoop up water from nearby rivers and lakes to put out fires that spread through the forest, sometimes towards towns. The game concept on Fire Flying was uniquely refreshing, but the gameplay was far too easy, as I ended up completely all the levels (not necessary Gold in all) in around 2-3 hours in one evening. I admit, it was oddly addicting, probably because each level was so easy. That being said, I did have to replay a few of the levels, but ended up winning fairly easily because I could better anticipate where the fires started. All the other games had some basic cartoon-ish aspect to their game. On the other hand, the simulation of Unmatched Airline focuses on real life situation of acting like an air traffic controller. Instead of directing the planes with your finger, you give instructions to each plane by selecting it from a list and indicating the instruction. The only difficult part is making sure planes don't end up face to face while on the ground. Though I like the realistic feel of the game, it is very SLOW. Many nights, I've fallen asleep while playing the game. The best part of this game is your progress is saved and you always build upon your previous state, it does restart to a certain point, but you keep your cash credit progress. If you want, there are many different views you can do. While it's very cool to play the game from a different perspective, the novelty of it wears off fairly quickly. For most of the game, I'll only end up playing for a birds-eye god view mode. The game can't really be played from other views. Even though the game is a free download, accumulating enough credit to purchase the next airport or other planes would take forever. Instead, you're better off spending real money to purchase credits to try other levels. Again, this is my favorite type of freemium model because it gives me a full featured game with the option to pay for additional levels. This is another super easy game. The game is adamant in trying to get you to connect via Social Network, but that just isn't necessary. There are only 8 levels, and once you get the hang of the game, are fairly simple to beat. You won't need to login to social media. Compared to the rest, the graphics on this game are fairly good. The most challenging aspect of Take Control of the Tower is the levels where you are required to give priority of the landing strip to certain emergency airplanes. All in all, I'd say my two favorite games and the Android apps I'm most likely to keep on my phone are Unmatched Airline and Airport Madness. The rest were fun, but are likely to be deleted in the near future. I like Airport Madness because the speed of the game is fast enough to keep my mind stimulated. On the other hand, Unmatched Airline has a real world feel that also has its time. It doesn't take much time to play each time and my progress continues, even though I'm doing the same thing over and over.